If you are reading this, than either I have sent you here myself to view my qualifications for whatever endeavour I have chosen to pursue next! If I have not specifically asked you to visit this site, you were likely searching for something else and have perhaps stumbled on this site as a result of the internet "phenomenon" known as SEO. Whichever may be the occurrence, I highly encourage you to take a peak at what I've got to offer. You can read all about me on through the various sections on the left menu, or use the handy Google Chart above to get a quick summary of what I do! Please contact me by phone or email if you are interested in working together. Proficient with web development through Content Management Systems such as Wordpress, Drupal, and Joomla. Most work is primarily done on custom, modified Premium Wordpress themes. Web Design: HTML, CSS, PHP, some jQuery and a little Flash. Excellent researcher and proficient grant writer. Very proficient with basic administrative office programs such as Word, Excel, Powerpoint. As well as newer mediums such as Prezi and interactive web-based timelines. Kidpower is a global non-profit leader since 1989 in teaching positive, practical personal safety skills to protext people of all ages and abilities from bullying, molestation, abduction, and other violence - and to prepare them to develop positive relationships that enrich their lives. Now known as the Everett Program, this UCSC based undergraduate program was the foundation for my academic career. The goal of this program is to educate and inspire UCSC students to use digital tools and social entrepreneurship skills to advance social justice and promote sustainability. Students begin by taking a year long series of 3 courses that focus on the planning, development, and implementation of a project proposal. After several quarters a student may be selected to become a GIIP Fellow and join in the development of the student run program. WRI is an environmentally-minded think tank that goes beyond research to create solutions in areas where human needs intersect with the environment. WRI publishes research and non-opinionated articles, creates digital interactive applications, and host international events. Currently the divisions of WRI address aspects of global climate change, sustainable marketplaces, ecosystem protection, and environmentally responsible governance. My project for WRI was to help build a strong online presence for the Open Climate Network (OCN). The purpose of OCN is to serve as a credible, accessible source of information on national policies related to greenhouse gas (GHG) mitigation and international climate finance. I helped to construct and manage the openclimatenetwork.org website through Drupal and led a social media campaign to connect international partners via several WRI Twitter accounts. Since 2009 I have done website design, consulting, and development for a variety of small businesses, personal projects, and non-profit organizations. You can view my full portfolio by clicking the "Freelance Work" tab underneath the "Employment" section. Most of my work has been done through premium customized Wordpress themes, however I have also used Drupal and have some experience with other Content Management Systems (such as Xoops, Zoho, and CiviCRM). Filing the mail, sorting packages, and organizing documents. Swapping staff mail with other departments, maintaining student address database, updating addresses. Handling phone inquires, answering student questions, troubleshooting. Reference to Tony Soottinanchai (831-459-2253). Basic food preparation, organizing, and cleaning duties. Making pizzas, cleaning, stocking the back fridge. Taking orders over the phone and preparing for seasonal rushes. Taking notes during meetings and reviewing with supervisors later. Making Powerpoint presentations for meeting reviews. Reading customer reviews, organizing and analyzing excel documents of survey data. Reference to Ofer Niv (480-724-4261 or nivo@wellsfargo.com). June 2007 - September 2007Universal Precast Concrete Inc. Working with concrete, fiberglass and materials movement. Fabricated exhaust for sand blaster. Reference to Owner, Gary McCall (530-242-6099). 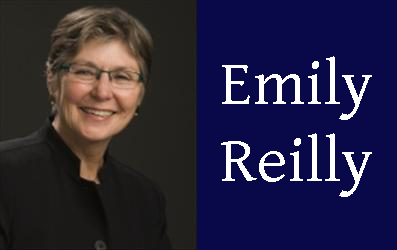 I am so happy to have had the opportunity to work with Emily Reilly. Emily was my Real Estate Agent for the home I purchased in 2013 and was essential in helping us with each aspect of the sale. A little over a year later, Emily decided that she would benefit from a personal website, something that shows her involvement in the community and a digital way to tell her story, be it in the world of real estate, as a Warriors sponser, or the owner of Emily's Bakery. Reference to Owner, Emily Reilly (ereilly@baileyproperties.com). In spring 2014 I had the pleasure of working with Shannon, Owner of the Closet Shopper in downtown Santa Cruz. The Closet Shopper is a small women's clothing shop that offers trade and consignment. 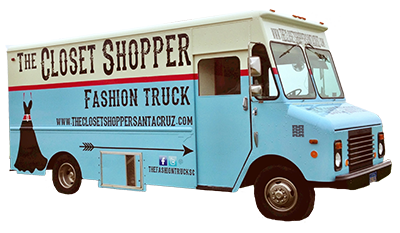 Shannon wanted some help updating her existing website and to unveil a new site with her newest project, The Closet Shopper Fashion Truck! She wanted a site that could have an embedded calender so that people could know of the Truck's location as she featured it around the area. I was very pleased to have had a role in this project and look forward to see what innovations Shannon has next! Reference to Owner, Shannon Juliana (activewellness@sbcglobal.net). For this project I constructed a site for J&T Management, that displays their various services in gas station management, including several project galleries and contact information. I also assisted in completing the content and updating the graphical content of their logo. This project was worked on weekly by myself, and the Technical Director for the program, Hasnain Nazar. It is built upon a customized premium wordpress theme and has an interactive map as well as galleries for current students, alumni, and projects. At the time I also updated the GIIP program's logo and optimized the site's SEO. The current site has recently been updated to the Everett Program as part of their re-branding process, but I am glad to have had a role in the progression of this program after my graduation from UCSC. Reference to Technical Director, Hasnain Nazar (nazarhasnain@gmail.com). 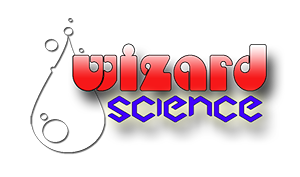 In early 2012 I had the pleasure of joining up with a local music event production company known as Wizard Science. I constructed a modified child theme for a premium wordpress expierence that includes a music player and blog page. I helped instruct the company on how to use wordpress and did a variety of posts myself. This project also required the creation of a logo, by the time we had finished we had two. The most prominent one being the one in the section above. For this project I constructed a basic landing page for The Savannah Cat Shoppe in Corona, CA. This website is on customized premium wordpress theme that uses a flash based 3D homepage banner. I also created several new graphics for them and updated their older logo. The content mostly revolves around "Scarlett's Magic" a World Record Holding Cat for the category of Tallest and Longest Domestic Cat. Reference to Owner, Leon Draper (909-559-9660 or savannahcatteryusa@facebook.com). Average GPA 3.6, Specific Classes may be requested. Studied for two quarters in the District of Columbia, while also interning at the World Resources Institute (WRI). Studied energy policy and sustainability. Specific classes may be requested. Here are a few wonderful references I have received throughout my professional and academic career. "Kidpower Teenpower Fullpower International is a global nonprofit organization dedicated to providing child protection, positive communication, and personal safety skills for all ages and abilities since 1989. Dillon works hard and cares deeply about doing a good job. He takes feedback extremely well and is committed to solving any problems and resolving any concerns. He has managed his transition of leaving his job in a way that has been very supportive to Kidpower, including giving us plenty of notice so we could find someone to fill his position, training other office staff in his responsibilities, updating procedures, and creating new training documents that will help our office keep functioning smoothly going forward. Dillon’s warm, caring personality leaves people feeling comfortable and very positive about Kidpower. We have enjoyed having Dillon working here and wish him great success in his web design business and future plans. "It is my pleasure to write on behalf of Dillon Draper as an applicant to your program or company. I got to know Dillon in a tutorial/class I co-taught at UC Santa Cruz earlier this year called Project Homeless Connect. The class combined service learning activities with academic work in sociology and other social sciences—all focused on the vexing social problem of homelessness. Dillon excelled in both the academic and service activities in the class. His final paper on an innovative idea for improving a local homeless program was among the best in the class. And his participation in class discussions was very strong. I worked directly with Dillon on his service learning activities and had a chance to see beyond his academic abilities. He accomplished a variety of tasks related to outreach for the Project Homeless Connect event held in downtown Santa Cruz in March. He works with real commitment on social issues and brings real talent in terms of using the latest technologies to address these issues. He is sharp, articulate and reliable. I believe your program or company will benefit from Dillon’s participation as much as Dillon will benefit from your program. I very much hope you will find a place for him in your program or company. "When I think of Dillon Draper, I imagine him in an attitude of earnest concentration, formulating a critical question, parsing the finer points of a text or topic, or reflecting on the social problem inherent within a cause. Possessing an intuitive and analytical nature, Dillon was always eager to stimulate discussion toward deeper investigation and insight. Polite and sensitive to others, he was nevertheless always a deeply engaged in learning and in expressing his own ideas–so refreshing in comparison to those who lean on borrowed ideas. Tenacious and irrepressible, Dillon was the sort of student who would raise questions and risk unknown territory, helping to create a class dynamic of inquiry in both my ninth grade honors English class and my eleventh grade AP Language and Composition class, where he passed the AP exam. Sensitive to the nuance and deeper implications of text, Dillon excelled at interpreting the stylistic and rhetorical impact of language on meaning. A strong writer, Dillon was an even stronger orator. He especially enjoyed the opportunity to research and engage in debate, probably because he cares passionately about ethics, principles, and the means by which they may be manifested or abused in our world. An intense personality, Dillon paradoxically might be described as low key. His sense of humor and good will super-ceded self-interest, and he functioned rather like a back-stage manager who operates purposefully and productively, without calling special attention to himself. Though he loved debate, he was open to divergent opinions and multiple interpretations, willing to stretch. He was also quite earnest about refining his work, and was quick to apply suggestions for revision and editing, committed to re-drafting as long as it took to improve and perfect his work. On-stage, Dillon is completely in his comfort zone. He has performed in musicals and dramas throughout his high school career, last year (2008) landing a major acting and singing role in Les Miserable. Dillon loves the stage: he has committed tremendous time and energy and rightfully earned acclaim for his talents. Even so, he seems to be a well-balanced individual who has time for friends, family and fun, all the while balancing a rigorous academic load at school. Our educational system thrives because of earnest students like Dillon Draper who devote themselves to personal growth and public service. I urge you to admit Dillon to your program and support him in his future endeavors; he will certainly contribute much to our society." "Dillon Draper has worked as a high school summer intern in my department from 6/08 – 8/08. The work has been performed in Chandler Arizona. Dillon has been great to work with. He has jumped into work as soon as he came on board and has been a quick learner. He took online teller training to familiarize himself with the application. He has been asked to analyze some data based on tellers’ survey in order to identify areas of opportunity for technology improvements. I was impressed with the fact that although Dillon did not have branch experience as a teller and was not familiar with the technical aspects of the application, he was quick to glimpse some important observations that I later used in a presentation to my whole team. I like his optimism and can-do attitude. I sometimes see interns that expect others to teach them every step of the way. They were not very productive in our over-busy environment where people simply don’t have the time to do a lot of one on one training. Dillon, on the other hand, quickly identified contacts he needed to get his assignments done. He was quick to grasp the use of office tools. He was already familiar with Outlook, Power Point, Word, etc. and made good use of them. He was self-motivated and accountable. He was friendly and productive. I highly recommend him to any of your programs based on my experience with his work and his character. If you have more questions, feel free to contact me." Please contact me by email if you are interested in working with me. Thank you for viewing my online resume! If social media is the best way for you to keep in touch, please contact me through one of the platforms below, although I most regularly use LinkedIn. My objective when starting a working relationship with a client is to provide a simple solution to a web presence that is cost-efficient and has the ability to scale as a project or company grows. Often I will meet with client several times before starting the website to analyze what content they have available now and what the 'big picture' for the site is. After the final product has been implemented, it is my goal to instruct the client on how to manage their new website, or provide them a schedule by which I can perform maintenance. In my free time I am often working on fixing up my home in Santa Cruz, CA. I love to create and modify my existence to be as low-impact as possible. It is for this reason that I have chosen to pursue the homestead lifestyle. I currently have 7 chickens and 3 ducks, and I am ever-expanding my gardening capabilities. I also have a passion for music and love to try new culinary ideas and projects. Thanks for looking at my CV. I appreciate your interest in my services! Thank you for printing my CV. If you have any questions, please feel free to contact me.